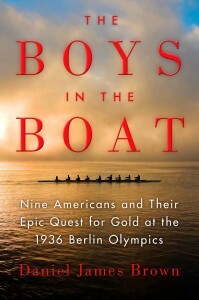 Many guests visiting Seattle these days have read the recent best-selling book “The Boys in the Boat: Nine Americans and their Epic Quest for Gold at the 1936 Berlin Olympics” by Daniel James Brown. This fascinating non-fiction book is about the University of Washington crew team who overcame great odds to get to Germany and win the 1936 Olympic gold medal. Spend an afternoon exploring north Seattle and see some highlights from the book. Drive by historic Roosevelt High School-where team member Joe Rantz graduated, walk the nearby, beautiful University of Washington (UW) campus, see the original winning shell built by George Pocock, rent a boat at the UW Waterfront Activities center during the nicer weather months, and make a stop at a local favorite, Aqua Verde, for lunch or cocktails and maybe a kayak rental. University of Washington, UW is also known as U-Dub to the locals. This university enrolls 45,000 and the main entrance is located at 17th Ave. NE and NE 45th Street. Its western border is Lake Washington and the southern border is the Montlake Cut where the crew team used to row. UW Waterfront Activities Center, This building was originally a seaplane hangar built by the Navy in WWI and became the Canoe House which was where the original 1936 crew team practiced. It is now open to the public during the nicer months of the year and is used as a canoe and rental facility. The Waterfront Activities Center is located directly behind Husky Stadium on Union Bay and the Montlake Cut. Roosevelt High School, Joe Rantz attended nearby Roosevelt High School and competed on the gymnastics team, where he was discovered by the UW Rowing Coach. Roosevelt HS is the largest high school in the city and was built in 1922, located at 1410 NE 66th St. in Seattle. Aqua Verde Café and Paddle Club, http://aguaverde.com/ This Mexican restaurant is not part of the book, but it is a great waterfront location on the Montlake Cut adjacent to the UW Campus. Before or after your meal, you can even rent a kayak or paddleboard.